On 28 June ABCNews 24 ran an item on Clement Lindley Wragge, an English born meteorologist who was commissioned in 1886 by the Queensland Government to write a report on the development of a meteorological organisation in Queensland. Within its collection, Queensland State Archives holds a large 1903 report written by Clement Wragge regarding the Stiger vortex [Queensland State Archives Item ID 903154, Batch file, agricultural]. 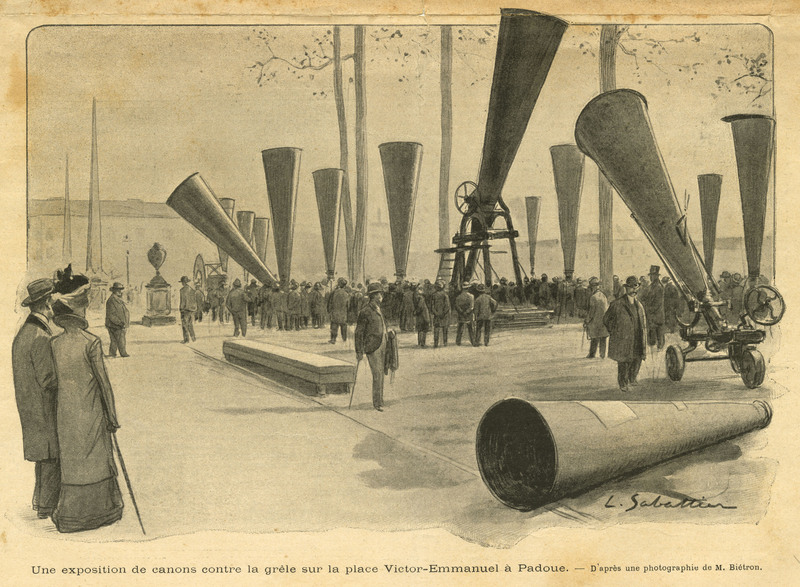 The Stiger vortex cannons were supposedly able to bring rain from the clouds and a number were purchased by Clement Wragge in an effort to break the drought of 1902. On 1 January 1887 Clement Wragge was appointed as the Government Meteorologist for Queensland by the Governor in Council. According to the Queensland Government Gazette Civil Lists, this appointment was under the Post and Telegraph Department (PMG) at 400 pound per annum (200 pound kept in bond) until 1902, then in the Meteorology Branch under the Chief Secretary, with an annual salary of 500 pound. The Department was abolished on the 30 June 1902. Within the Chief Secretary correspondence held within Queensland State Archives’ collection [Queensland State Archives Item ID 862216, Correspondence] is Letter No. 03/5900 dated 5/8/1903 written by Leonie Wragge re the ‘Closing of Weather Bureau and employment for C L Wragge’. In her letter Mrs Wragge is making a case for the re-employment of her husband. For more information about Queensland State Archives visit www.archives.qld.gov.au. The text of our blog posts is available under a Creative Commons Attribution 3.0 Australia (CC BY 3.0) licence.